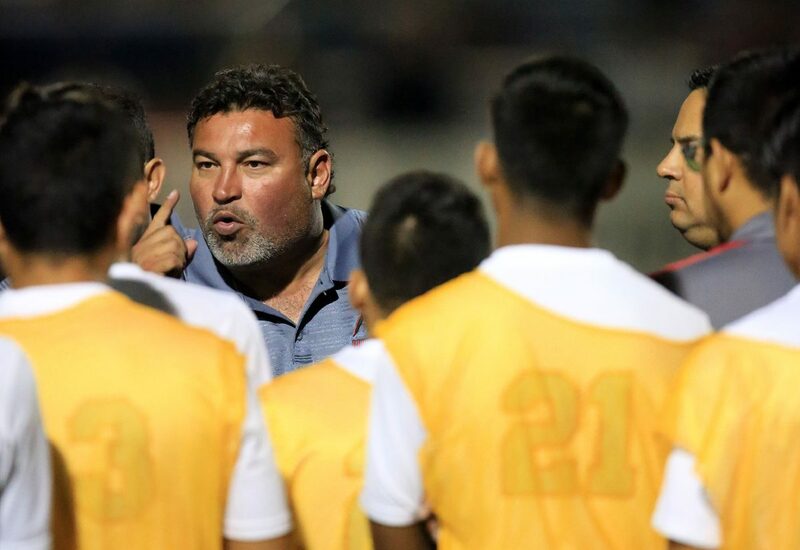 La Joya Juarez-Lincoln’s Victor Ramos never planned on becoming a coach, or even a teacher. After graduating from high school in Hollister, California, Ramos earned a business degree from University of Texas-Pan American, playing forward on the soccer team in 1992-93. He was working as a customs broker when he was invited to help tutor a group of students in both English and soccer. Ramos went back to school to finish his education degree. He coached the girls team at Economedes for five years, then moved to La Joya High as an assistant coach on the boys side. When the La Joya ISD split to form La Joya Palmview and La Joya Juarez-Lincoln prior to the 2008-09 season, Ramos took the job leading the Huskies. Since then, he’s found nothing but success, winning at least one playoff game in all nine seasons. This year, Ramos’ team put together its best run yet, advancing all the way to the UIL Class 6A state semifinals. For leading the Huskies program to new heights, Ramos is the Monitor’s All-Area coach of the Year for 2017. Tactically, Ramos said his teams play more of a Latino style, touching and moving the ball at a quick pace. The signature element of his approach is having his defensive stopper play something resembling a midfield role. Combined with the Huskies’ four midfielders, the scheme allows Ramos to build a nearly impenetrable wall. Juarez-Lincoln held opponents scoreless in five of six playoff games, with only Edinburg Economedes finding the back of the net. “Whenever we need to defend, we have that line of five, and it works for us,” Ramos said. Sophomore goalkeeper Christopher Banda said Ramos’ strict approach to discipline keeps the Huskies in line, and senior midfielder and All-Area Player of the Year Manuel Castrejon said Ramos shows confidence in his players and puts them in positions to succeed. Senior defender Jesus Zaletha also spoke glowingly of Ramos.